Not everyone can afford a brand new car, and many people are forced into used cars due to budget constraints. When someone goes to a Mazda dealership, they can make sure they do not have to spend a lot of time in the mechanic's waiting room watching television by choosing a Mazda certified pre-owned vehicle rather than purchasing a conventional used car from a private seller. 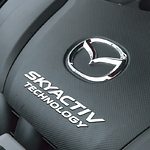 The fluids in the Mazda CPO cars will be checked, potential problems sorted out, and the new owner can drive off the lot with confidence. Find a Certified Pre-Owned Vehicle Today!